The Canucks are in Cali, soaking up the sun, welcoming sons, riding bikes, and wearing cool socks. 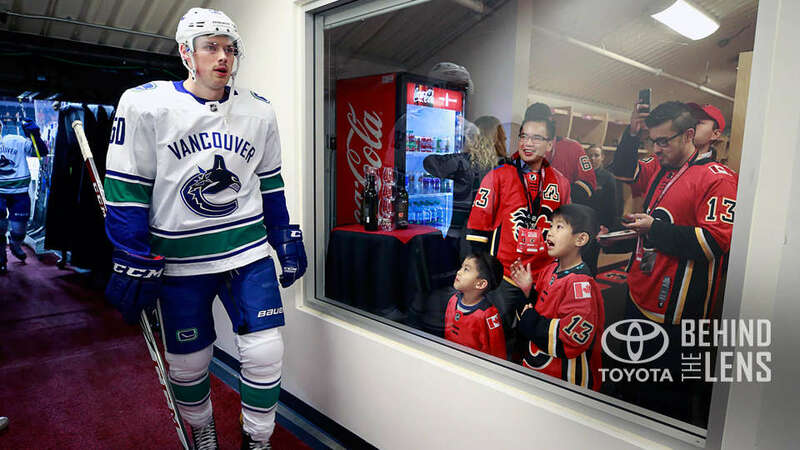 The Canucks are roadtripping which means that Jeff Vinnick’s Behind The Lens is back! 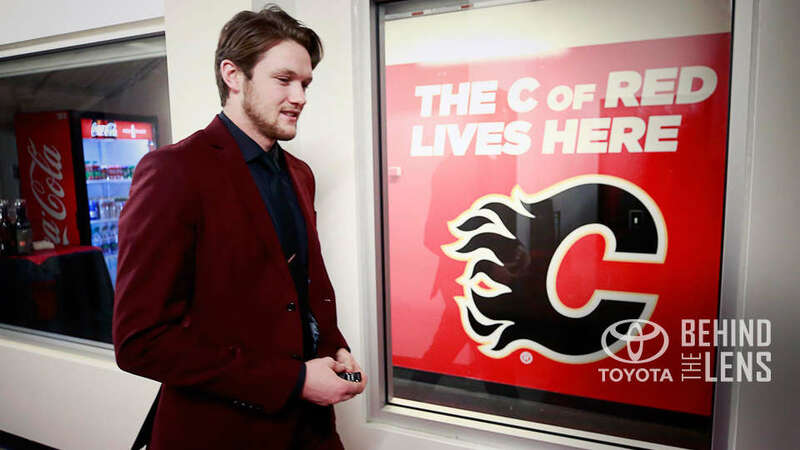 Highlights include Thatcher Demko’s flashy red suit, a child who cannot believe he’s just seen Brendan Gaunce, a concerned Dan Murphy who just wants his seat back, and a Jacob Markstrom who just loves his caffeine. Check out the full gallery here. 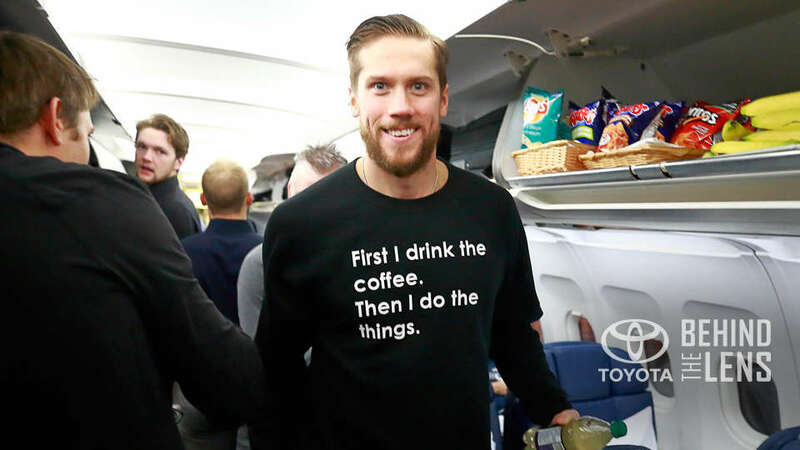 The Canucks won in Calgary and as a result they’be gifted us two fun new gifs for you to use when you want to express happiness online. In other Nilsson news, check out this Instagram post featuring both Canucks goalies. It’s a good one. The gang had the day off in SoCal and they spent it riding bikes and taking photos. A fun time! These throwback Behind the Lens photos are amazing. The fashion choices. 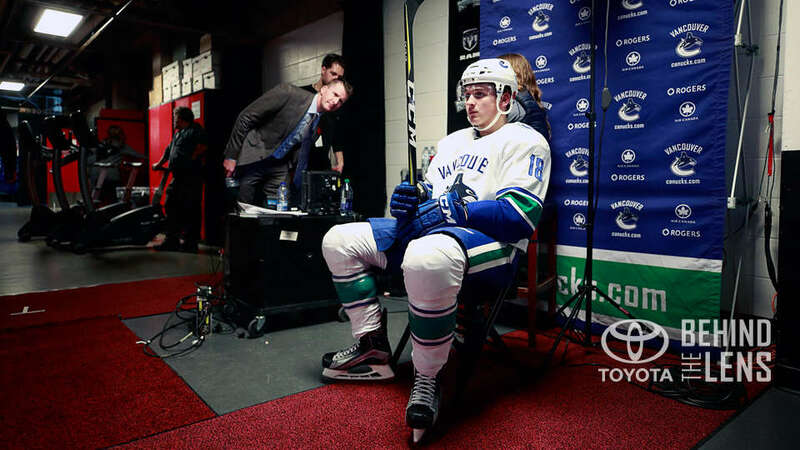 Chris Tanev had to be sent home from this road trip because his socks were too fun. Also, Alex Burmistrov is wearing slippers outdoors. The Canucks store is selling these super weird little beefy dolls and the in-store set-up is terrifying. I’m obsessed with these bizarre creations.